The Wisconsin 4-H Key Award Program recognized a select group of 4-H participants who have demonstrated consistent growth in their 4-H involvement, developed and applied their leadership skills and actively participated in the functions of their 4-H club and community. It is the highest award given by Ozaukee County 4-H.
Christopher has been a 10 year member of Little Kohler 4-H Club. In those 10 years he has taken a wide variety of projects including Swine, Wood Working, Vegetables, Home Environment, Pottery and Sports. He has also has been the youth leader for Swine for his club. Chris has held club offices of Secretary, and Reporter, and has been the youth swine leader for 3 years. He has received the Outstanding Achievement award for 7 years and the Gold Award for 2 years. Chris’s County involvement has been with helping and working at the 4-H Haunt fund raiser and he has participated in the 4-H Foundation Bowl-a-Thon for 9 years. He has participated in the variety show with his club both at the county level as well as at State Fair. Which he says has helped him tremendously with public speaking. He is also a member of the 4-H Livestock Association. Chris also participated in the Ozaukee Board Exchange, where he met with local politicians, talking with them on the importance of 4-H in our community. Outside of 4-H Chris is a member of the Cedar Grove/Belgium baseball team. He is a member of his highschool’s National Honor Society where he served as Vice President in his Senior Year. This fall Chris will be attending UW Madison studying actuary science. Chris is a passionate and enthusiastic young man. We can only imagine what life has in store for this amazing young man. Ten years ago, I embarked on one of the most remarkable journeys of my life thus far. Little did I realize then, 4-H is the opportunity of a lifetime, yet today I stand before you honored to be receiving this prestigious award, having experienced all the 4-H program has to offer. The opportunity to discover your passion, meet new, amazing people, and make memories that will never fade. A lifelong member of the Little Kohler 4-H Club, I have raised pigs in the swine project, performed on stage at the Variety Show, and scared others in the Haunt just to name a few of my favorite things 4-H has allowed me to do. Thanks to my parents, along with all the 4-H leaders that have helped me throughout my 4-H journey as I have gained immense knowledge and have had my fair share of fun along the way. I can confidently say that after ten years, 4-H has allowed me grow as a citizen, volunteer, and overall person, so to my fellow 4-H leaders and members, thank you, as without you, I am not me! Mackenzie is a 11 year member of the Town and Country 4-H Club. In the 11 years Mackenzie has taken many projects. These include Photography, Dog Project, Goat Project, Archery, Scrapbooking, Cake Decorating, Drawing and Painting, Communication and the Snowmobile/ATV project. She has also been the youth leader for the dog project and goat project. Mackenzie has been the Secretary and the President of the Town and Country 4-H Club. She has also been Vice President and President of the Older Youth Crew, as well as Co-chairing the Communications Festival the last 4 years! She was active as a youth camper, resource helper at camp, camp counselor and this year was the 4-H Jr. Camp Director. She enjoys working with the campers making sure they have the best time while at camp. She participates in many of the county 4-H activities. Some of those include; communications festival, a haunt participant with building and make up artist, a variety show participant and coordinator. She participates with Together We Can – a County wide group that meets with special needs youth and adults. She’s been a volleyball tournament participant and Bowl-a-Thon participant. She has helped with the Bunny Breakfast and has been a chaperone for Jumping Country, an activity with the younger 4-H youth. She is also a 4-H open house participant. She was a youth member of the Leaders Association where she served as Secretary. She has taken every opportunity to participate! Her state involvement include being a variety show performer, a State Dog show participant and she participated in the “4-H at the capitol” in 2013. Mackenzie is very busy promoting and teaching people about 4-H. In 2016 she was crowned Miss Ozaukee 4-H. This experience allowed her to promote 4-H and the countless opportunities it provides. She was a delegate for Space Camp, a Space Camp Counselor, a delegate on the American Spirit Trip and a delegate on the Citizen Washington Focus experience. Outside of 4-H Mackenzie is very active in her school and church. She is member of the praise band, a Sunday school teacher and coordinator of their Christmas program. In school she is member of Best Buddies, student Council, Fellowship of Christian Athletes, FBLA and National Honor Society. She participated in high school musicals and has played volleyball and basketball. Mackenzie lives and breathes 4-H! She gives her all to her club, her community her country, and her world. Mackenzie plans on attending St. Norbert’s College. She is pursuing a degree in communications and media studies. A degree that 4-H has most definitely inspired. I am so blessed to be a part of such a wonderful organization that encourages youth to be the best versions of themselves and I am incredibly grateful to be receiving the key award. Countless times over the past years the phrase “I’m sorry I can’t, I have 4-H” has come out of my mouth, a phrase I’m sure many can relate to, but I will never regret putting 4-H first. My time in 4-H has given me wonderful memories, once in a lifetime opportunities, lifelong friends and has taught me so much. Most importantly it has taught me about myself. I’ve learned how to grow as an individual, what values I believe to be important and I’ve chosen a career path. Foremost it’s what makes me so proud to stand here and say I’m a third generation 4-Her. There are so many people I need to thank for their support and continued encouragement. I need to thank all of my wonderful 4-H leaders and mentors. Specifically Diane Pfaffenroth, Dorothy Parchim and Barb Batzko. I owe much of my success to these amazing role models. Finally I need to thank my family, many of which are here today. I wouldn’t be here with out you. 4-H has been the biggest blessing in my life, thank you for everything! Alaina is an 8 year member of Cloverleaf 4-H. In those 8 years she has taken a variety of projects including Candy Making, Foods, Quilting, Clothing, Jewelry Making Home Environment, Ceramics, Celebrate Art, Theater Arts, Food Preservation, Basketry, Pottery, Child Development, Photography, Cats, and International. She has been a youth leader for Jewelry Making, Theater Arts, International, Exploring and Clover Buds. She has received the 4-H Outstanding Achievement Award for the past 5 years. Alaina has served as the President and Vice President of her club. That is just the beginning of her activity in her 4-H club. She is a great volunteer at County fair and in the many community service projects her club does. She participated in caroling at the nursing homes and playing BINGO with the nursing home residents. She participated in her club Variety Shows acts and in 2016 she wrote and performed in her clubs Variety Show Skit. Other County wide activities include; 4-H Haunt build and acting, a 4-H representative at the County Board Meeting, a 4-H County Ambassador and she has participated in the County Communications Festival. On the State level she has enjoyed being a State Fair representative on both the Activity Team and Demonstration Team. She also participated in the 4-H day at the Capitol. Alaina has taken advantage of the many trips 4-H has to offer. She was a delegate to attend State 4-H and Youth conference, the American Spirit Experience, a delegate for Citizenship Washington Focus, and for the Citizenship Washington Focus: Presidential Inauguration. And last year she was a delegate for International 4-H Youth Exchange program (IFYE) and traveled to Costa Rica. Outside of 4-H, Alaina volunteers with Helping Hands Healing Hooves, a therapeutic equine assisted riding program. She has gone on volunteer trips to both Colorado and Kentucky. She has been a competitor with Destination Imagination and this year was a team leader. She is a member of her high school Forensics team, video club and choir. She participates in Community and high school Musicals and Theater productions. Alaina is a wonderful 4-Her and a wonderful role model for young 4-H’ers. Alaina is planning on attending St. Louis University this fall. When I first heard about 4-H, I was a fifth grader visiting the Ozaukee County Fair. As soon as I saw all the projects, I told my mom I wanted to join 4-H so I could make projects, too. Little did I know how important that decision would be. I’m ending my career in 4-H with so many experiences and opportunities that I never could have predicted. I’ve been able to be a club officer and youth leader, exhibit at state fair, travel across the country, and even live in Costa Rica for a month. But it’s not just about what I’ve done in 4-H, it’s about what 4-H has taught me. Through 4-H I’ve learned leadership skills, responsibility, dedication, and how to weave a basket. But most importantly, 4-H has given me the confidence to go out into the world and do great things. I’m so grateful for all I’ve learned, and for all those who helped me to learn it. But I’m especially thankful for Mrs. Parchim, who is the heart of Cloverleaf 4-H club and is so amazing with her tireless dedication, enthusiasm, and kindness. We couldn’t do it without her. So I just want to say thank you to Mrs. Parchim and to everyone in 4-H, for teaching me to always make the best better. Jessica has been a 10 year member of Lindenwood 4-H Club. In those 10 years she has taken a wide variety of projects including Beef, Archery, Drawing and Painting, Leathercraft, and Photography. Auctioneering, Scrapbooking, Ceramics, Cake Decorating, Sewing, Quilting, Home Environment, Flowers, Jewelry, and Crocheting. Jessie has held several offices in her club. She was the club Historian, Pledge Leader, Activity Leader, Secretary, Treasurer, Vice President and is currently President. She has been the Vice President and Media Officer for OYC and a youth Beef Representative for Livestock. She is also a youth Representative on the Leaders Association and this year is serving as Vice President. 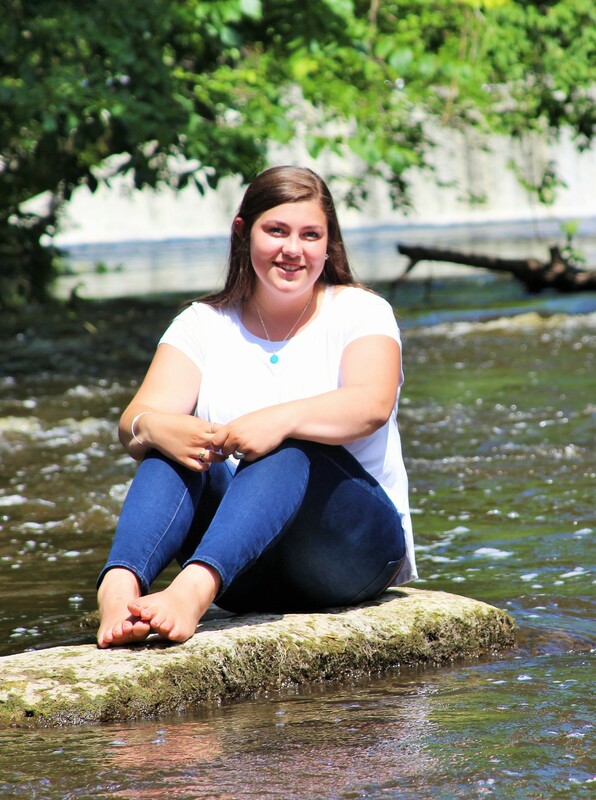 In 2016 Jessie was Miss Ozaukee 4-H. She has participated in the Haunt, Pinewood Derby, New Family Fairgrounds Tour, Volleyball Tournament, Softball Tournament, Tri –County Shootout, Tri-County youth conference, Variety Show, the Livestock Car Wash and the Jack-o-Lantern Jamboree! Jessie has participated in 4-H camp for years. She has come up through the ranks from being a camper and resource counselor to a cabin counselor and this year was the Jr. Director! She enjoys working with the campers making sure they have the best time possible. She has attended Madison Youth Conference, was an American Spirit delegate and a CWF Delegate. She has shown her beef at Wisconsin State Fair Jr. Livestock Show and performed on 4-H State Fair Activity Stage. Outside of 4-H Jessie is a member of the Pommershe Tanzdale Dance Group, a member of her high school’s Drama Club and Track Team. She is also a Sunday School Leader and a VBS Counselor. This fall Jessie will be attending UW Platteville studying Art Education. As I realize my 4-H journey is coming to an end I’d like to say thank you to all the leaders and friends who have motivated and inspired me along the way. The past ten years have been full of wonderful memories, learning new skills, and helping me prepare for the future. My advice to any 4-Her is to get involved and take all that the 4-H program has to offer. I feel very honored to have received this award and look forward to my last year in 4-H and the new chapter I am currently starting in life. I am so blessed to be involved in such a wonderful youth organization that has allowed me to learn, grow, and build relationships over the years! Kevin has been a member of the 4-H for 10 years, in those10 years he has taken a variety of projects including Woodworking, Sheep, Leather Craft, Shotgun, Archery, Youth Leadership, Air Rifle, Self Determined, Foods and Nutrition, Electricity Small Engines, Drawing & Painting, Dairy Beef and Aerospace. He has been a youth leader for Cloverbuds and Explorers. That is just the beginning of his activity in his 4-H club. Kevin has held many club positions. He was Vice President, Fall Fund Raiser Coordinator, Recreation Leader, Secretary, Pledge Leader, and a member of the Club Booth and Banner Committee. On the county level Kevin has also been very active. He has been a delegate on the Citizenship Washington Focus Trip, Ambassador to Ozaukee County 4-H. A 4-H Camp Resource Staff and Assistant Counselor, a delegate on the American Spirit Trip, State 4-H Youth Conference and Space Camp. He participated in the New Family Fairground Tour, the County Variety Show and was a 4-H Open House demonstrator. At the State level, Kevin has performed on the 4-H State Fair Activity Stage. He was a member of the American Spirit planning committee. He is also a youth representative on the Leaders Association and attended 4-H Day at the Capitol. Outside of 4-H Kevin is active in his church. He is a member of his church male choir, volunteers for the July 4th Church picnic, Vacation Bible School Leader and ushers. He is also stays busy milking and farming on the Rolling Meadow Farms. 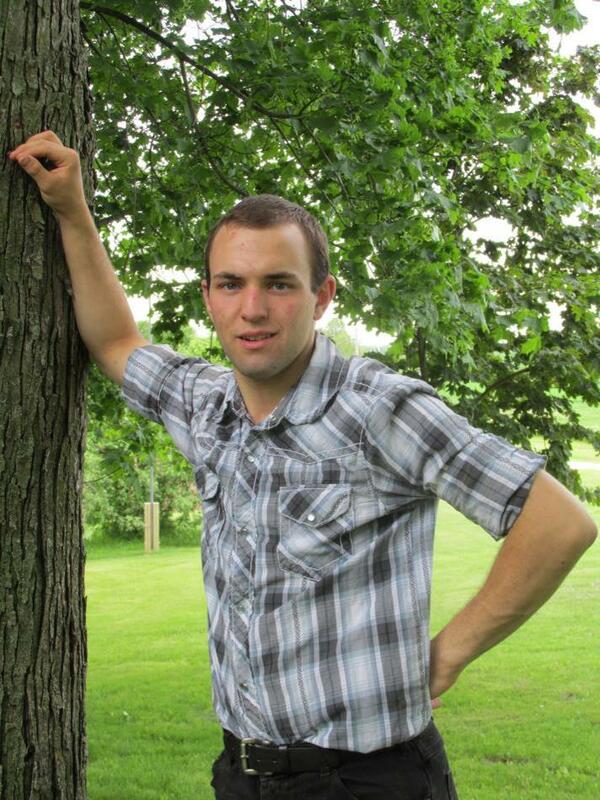 Kevin will be attending technical college in the fall studying Dairy Herd Management. First I would like to say what an amazing program 4-H is. I have been a member of the Lindenwood 4-H club for ten years, I have held many officer positions and have learned leadership, and teamwork. Through 15 different projects, I have gained persistence and have learned that if a job is worth doing it is worth doing right. The multiple award trips I have applied, interviewed, and went on have greatly improved my speaking and communication skills. These opportunities are incredible and I am honored to have had them all. I would also like to say thank you to all the 4-H leaders that have helped and encouraged me, especially Carol Boehlke, Jody Brzezinski, and Cary Schoessow. Last, but certainly not least, I would like to thank my parents Bob and Amy Gierach and the rest of my family for being so supportive the last ten years. Thanks again for this award. Sarah is a 12 year member of the Lindenwood 4-H Club. In the 12 years Sarah has taken many projects. They include Foods and Nutrition, Photography, Scrapbooking, Crocheting, Home Environment, Wood Working, Quilting, Clothing, Sheep, Youth Leadership, History and Heritage, Stencil Painting, Cross Stitch, Drawing and Painting and Celebrate Art. Sarah has been the club Treasurer for 3 years, and the Clubs Historian/ Reporter for 4 years. She participates in many of the club activities. Some of those include Earth Day Painting at Rockwell, Adopt-A- Highway, the Club Booth committee, Breakfast on the Farm, Maxwell Street Day Booth, BINGO at Lasata, Friestadt Heritage Fund Raiser and Caroling. On the county level Sarah is very busy promoting and teaching people about 4-H. She takes every opportunity to participate. 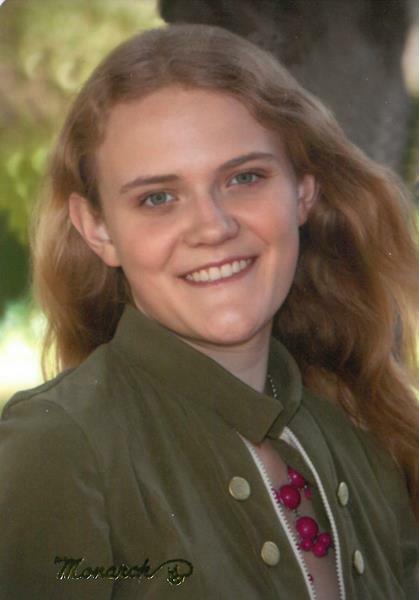 She has been a delegate for National 4-H Youth Conference and attended the Wisconsin 4-H Youth Conference in 2014. 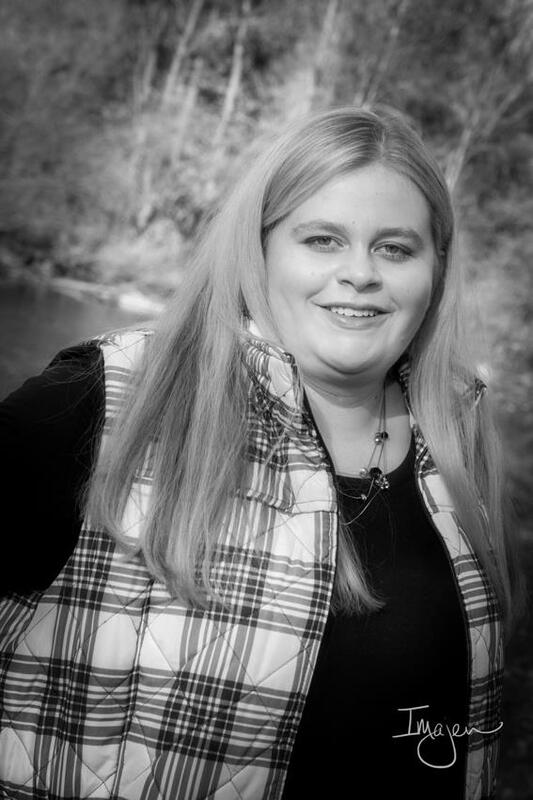 She attended the Tri- County Youth Conference, and is now a Youth Director on the Ozaukee County 4-H Foundation Board. She is a youth representative for sheep in the Livestock Association and attended the State Livestock show camp. She participated in the Bowl-A-Thon, the County Board and 4-H Youth Exchange, Leader to Leader Workshop, 4-H Day at the Capitol, Recruitment Fair, and Art Discovery Day. She was a contestant and runner-up for Miss Ozaukee 4-H. Sarah also enjoys being in the Volleyball tournament, Softball tournament, 4-H Dance and Pinewood Derby. Outside of 4-H Sarah is very active in her church. She is member of the choir, Hand Bells, His Players, and a member of the Lutheran Woman’s Missionary League. She also is member of a German Dance group and participates in Homeschool pick-up sports – basketball, cross-country and softball. Sarah has definitely grown in her 4-H career. From the small Cloverbud girl to an outstanding 4-H leader and role model for younger 4-Her’s. Wow! It is hard to believe that I have been a 4-Her for twelve years, and what a ride those years have been. 4-H has given me some very unique opportunities and experiences and has helped me gain leadership, communication, and management skills along with helping me learn to persevere. Some of my favorite 4-H experiences include receiving the Key Award, raising sheep with my family, being a Miss Ozaukee 4-H candidate and runner-up 2017, going on the Citizenship Washington Focus trip, being club Treasurer, Exploring youth leader, and Youth Director on the 4-H Foundation, as well as showing sheep at county and state fairs. All of these experiences and many others would not have been possible without the help and support of many people. I would like to thank my parents Kevin and Lorrie for their encouragement and for always pushing me to Make the Best Better even when it was hard. I would also like to thank my siblings Joshua, Timothy, Paul, and Hannah, my grandparents, the rest of my family, and friends. A special thank you also goes out to all of the many 4-H Leaders who have been there to help me when I needed you, especially for the last minute accommodations you were always so gracious to make. 4-H has truly been a blessing in my life and I hope for many more years of 4-H memories and fun. 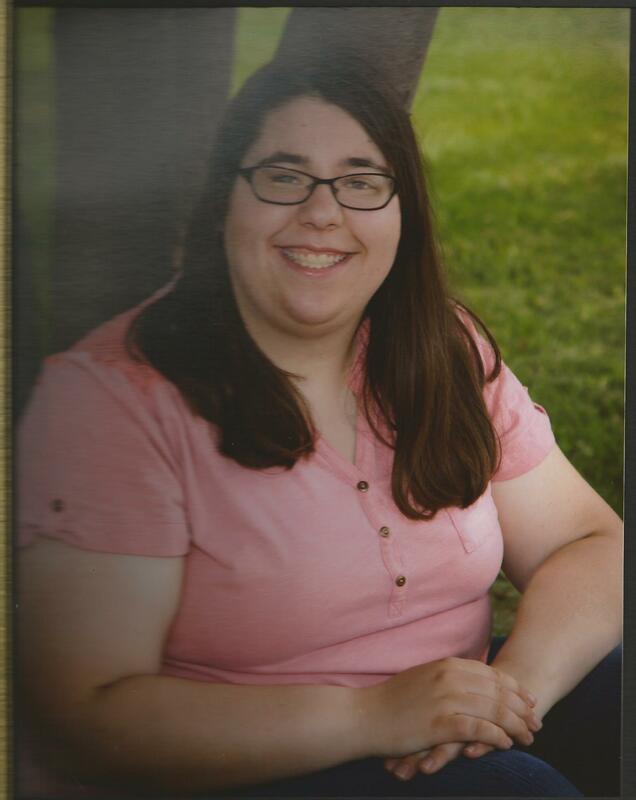 Alycia is a graduate of West Bend East High School, and a 10 year member of the Town & Country 4-H club. In ten years Alycia has taken many projects, cake decorating, celebrate art, collections, food and nutrition, photography, pygmy goats, scrapbooking and swine. Alycia has been the club reporter and headed up the recreation for Town and Country for a year. Outside of her involvement in her club and projects, Alycia has found a passion in working with the 4-H haunt. She is there to scare the pants off of you as you go through the haunt, but you will also find her there helping set up the haunt, do make-up for others and tearing down the haunt. This year she is also the secretary for the haunt committee that meets every month. Alycia’s second passion is the Dog project. I don’t think she will mind me sharing with you that for the past 7 years she has been working with one of the smartest and naughtiest dogs I have seen in the project in many many years. She stuck with it and tried all kinds of activities including Agility. She and her dog loved agility. With that new found passion Alycia with another member have brought the agility program to our county and have given it a great start. Alycia is also involved in many other county activities such as, The Bunny Breakfast, the Variety show, parades and the Jumping Country outing for the younger 4-H’ers. 4-H camp is one of Alycia’s favorite 4-H activities, she has come up through the ranks from being a camper and resource counselor to a cabin counselor. She enjoys working with the campers making sure they have the best time possible. 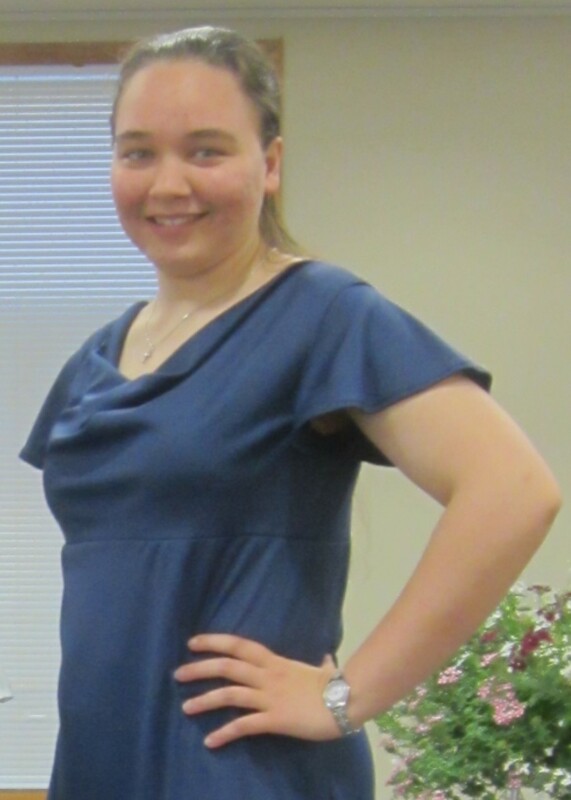 Outside of 4-H Alycia is very involved in her church and helps teach Sunday school and vacation bible school. She also helps to package food for feed America. Alycia’s goals for the future include attendance at Moraine Park Technical Institute to get certified in Chiropractic Technician Radiography. Through my many 4-H experiences I have grown so much. 4-H is a major part of my life. The 4-H program has helped me to build up the confidence to get where I am today. I have learned leadership skills by being a youth leader in the dog project. I have helped to organize the petting area for the Bunny Breakfast. I have taken on a strong leadership role in the 4-H Haunt. I have started face painting at Breakfast of the Farm. I have been very blessed for all of the support & encouragement given to me by many 4-H leaders and other caring adults. I would like to give a special Thank You to my dad & my mom, my grandparents, my great grandma, Jody Brzezinski, Lynn Neumann, Diane Pfaffenroth, Dorothy Parchim & Nancy Salkowski for your role and guidance along this path to help me to reach toward my full potential. I can never say Thank You enough! I have carried 6 to 7 projects, three of which are animal projects which require a lot of responsibility. Throughout the 4-H program I have mastered many life skills. I can say that I have mastered many life skills. I can say that I have learned some of the challenges in working with today’s youth through my youth leadership, being a camp counselor, and Sunday School Teacher & Assistant. I am truly Honored to be chosen to receive the Wisconsin 4-H Key Award, It is the highest honor that can be achieved in 4-H. I plan to continue in 4-H as an adult leader to be a role model that others were for me. Gabby has been a member of the 4-H for 8 years, in those 8 years she has taken a variety of projects including Photography, Dairy, Candy Making, Cake decorating, Knitting, Quilting, Clothing, Home Environment, Archery, Arts & Crafts, and Scrapbooking. She has been a youth leader for Photography and Dairy. That is just the beginning of her activity in her 4-H club. She has been on the parade/float committee for her club. Has given back by doing many various activities at Lasata. Planted and cared for a flower bed in Grafton, participated in the Variety Show, and has planned activities for their Cloverbuds. On the county level Gabby has also been very active, she loves space camp and has gone as a Camper, Counselor, and participated in Advanced Space Camp. Gabby has been a Youth Conference Delegate, an American Spirit Delegate,and Citizen Washington Focus Delegate. She has been a 4-H Ambassador for 7 years and a youth member of the 4-H Foundation, a camp counselor, a participant in the clothing revue, and helped at the Bunny Breakfast, and was the reigning 2015 Miss Ozaukee. Gabby also was active at the state level, she was a Arts Camp Counselor, the Arts Cam Jr. Director, a Art Lab Delegate and her family has hosted a IFYE exchange student for 4 years. Outside of 4-H, Gabby has worked in the Dietary Department at Lasata, she has taught computer skills at Lasata and is the master of Bingo at Lasata. In her church she helps with the food pantry, and is active in their youth groups and the director of the Christmas program. She is currently working on the Gold award from girl scouts. This is the highest honor in Girl Scouts. All of this has prepared Gabby to go to school at Virginia State University and will be studying Aerospace Engineering, with a goal of working for NASA as an Aeronautical Engineer. 4-H is a great organization and has provided me with many opportunities to not only gain new skills but to also find a career path. This would not have been possible without all the great leadership of all the people, not only at our county level but at the state level as well. 4-H has taught me many lifelong skills I would like to highlight 3 things that I will always remember and take away from my 4-H experience. 1. Don’t be afraid to stand up and speak in front of large crowds of people. 2. Push and challenge yourself to try new things and step out of your comfort zone. And 3. Just be yourself. As I reflect back upon my 4-H experience the past eight years. I couldn’t have done this all by myself. First, and foremost, I would like to thank Dorothy Parchim. She has been my 4-H general club leader for the past 8 years. It is through her love and passion of the 4-H program that has inspired to me to become more involved to participate in a number of general club activities, and attend many trips. Not only has Dorothy encouraged me to participate and volunteer in these activities, she has also taught me many skills from leaning how to sew and make my own dresses, to walking dairy cows at the Paulus Farm. I would have never dreamed that when I started the 4-H program that I would ever work with a dairy cow and even show an animal at county fair. Being in the dairy project the past 5 years, has been a big highlight of my 4-H experience. I just truly want to say that Dorothy is a great advocate for this program and I am so grateful to her for all her great work over the past 8 years. Second. I would like to thank all the leaders at the State Level for their support and friendship in regards to my attendance of the many trips, as well as participating in the IFYE program. My family has been part of the IFYE program for the past 4 years and it has been a amazing experience to learn about 4-H both here and abroad. I am so thankful for the opportunities to attend many trips offered, but the one trip that has been a big highlight for me was the Space Camp and Advanced Space Camp Program. The Space Camp experience has motivated and inspired me to pursue an educational degree in Aerospace Engineering with the goal of working for NASA. As I reflect back on my time with 4-H, I just want to say a big Thank You to all the board members that I have worked with the last four years on the 4-H foundation board teaching me a lot more about the business and financial aspect of 4-H. But most importantly I want to thank my family. My family has always been there for me throughout my entire 4-H career. I want to thank my sisters Abby and Grace and my Brother Ryan for volunteering with me, helping and assisting me with 4-H projects and also putting stickers of string cheese to promote the 4-H program at the various summer parades that I have attended. I want to especially thank my parents John and Karen Gventer for always being there for me, their support and the countless hours spent volunteering and assisting with projects even including washing and walking dairy cows. We had a fun time every summer working with our animals. Thank you to the Paulus Family and Carla for letting us show their animals at the fair and for the experience of learning about Dairy. Lastly. I just want to say, once again, a big thank you to all the leaders that have assisted, supported me in some way, big or small over the past eight years. I appreciate everything that you have done for me. I am so grateful for the opportunity to be a part of this great organization an am thankful for the countless experiences and memories. As I head off to college in a few days I will be heading off in to a new chapter of my life, I will always be grateful for all the people I have meet and all the life lessons I have learned though 4-H.
Gabbie has been a 11 year member of Town & Country 4-H Club. In those 11 years she has taken a wide variety of projects including Dairy, Dogs, Scrapbooking, Cake Decorating, Celebrate Art, Tie Dyeing, Soap Making, Drawing and Painting, Music, Photography, Home Environment, Soap Carving, House plants, Astronomy, Auctioneering, Leathercraft, Sports and Archery. She is also Youth Leader for the Dog Project. Gabbie has held several offices in her club. She was the club Historian, Vice President and President. 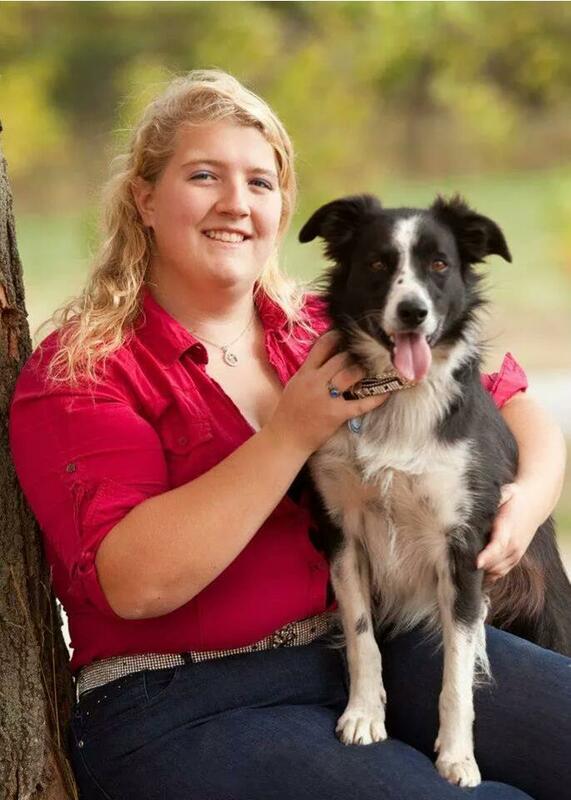 She has been the Secretary for OYC and has been the Vice President and President of the Dog Project. She has participated this year in the Together We Can program. Gabbie has volunteered to be a camp counselor for several years. She has attended Space Camp, was a Space camp counselor and participated in Advanced Space Camp. 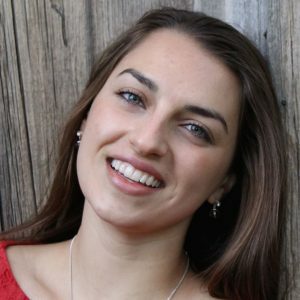 Gabbie has participated in the variety show for many years, which is what may have prompted her to audition for and perform with the 4-H Showcase Singers. Outside of 4-H Gabbie helps with church service at Lasata, and works with the special olympics program. This fall Gabbie will be attending the Appalachian State University and will be studying Agroecology and Sustainable Agriculture. I have been a member of Town & Country 4-H club for 11 years. I am honored today to be a recipient of the 2016 Wisconsin 4-H Key Award. 4-H has taught me life lessons and has opened my eyes to the world around me. I’ve gone to Huntsville, Alabama on the Space Camp and Advanced Space Academy trips, I’ve sung in front of hundreds with the Wisconsin Showcase Singers, I have attended the Wisconsin State 4-H Dog Show and I have shown dairy cows at the Wisconsin State Fair. This year I will be attending the National 4-H Congress in Atlanta, Georgia. Thanks to the countless opportunities I’ve had, I’ve made friends that I consider my family. I’ve learned that a title does not define my love for an activity, that leadership does not start with us, but with the mentors and leaders that inspire us, and that hard work does not always lead to success, but even if we’ve failed we have still worked towards a goal and failure can teach us more than success. Showing dairy cows each summer has lead me to choose my educational path, and I will never forget where my love for agriculture first started. I have strange hobbies like making soap and studying canine diseases that I would have never tried without my involvement in 4-H. Receiving the Key Award warms my heart, and verifies that everything I stand for and participate in has shaped me into a person ready to change the world and continually make my best better. My success would not have been possible without my parents, countless leaders, friends, the Ziemer family, and my sister Natalie. No “thank you” will ever truly explain how grateful I am for all of their work and for their constant encouragement and support. I wish that every kid had the opportunities I have had, and I can’t wait to return as a leader and try to make that possible. Congratulations to the other recipients, and thank you so much for this award. Virginia is a graduate of Homestead High School. This is her twelfth year as a member of the Lindenwood 4-H club. Starting as just a little Cloverbud , she has moved on to bigger and better projects including Dairy, Photography, Leathercraft, Mechanical Sciences, Ceramics, Creative writing, Shotgun, Auctioneering and Automotive. It was through these projects that Virginia Lee has participated in that she has chosen to attend River Falls College and will be pursuing an education and future in Agricultural Engineering. 4-H can be proud of the leadership roles Virginia has taken on. Virginia has received Lindenwood’s Outstanding Achievement award and record book award for more than the past 8 years. She has held many offices in her club including, President, Vice President, Secretary, Treasurer, Historian, and Pledge leader. She has also served on the OYC Board, and is currently serving as President. Virginia has also been a camp counselor for both base camp and outpost. Virginia is also a member of the committee that helped get “Together We Can” become a reality today. There are very few roles she has not served in, in 4-H and if this has left her a moment of spare time, she also was a officer for the National Honor Society at Homestead . She has also performed in several musicals, was the captain of the swim team and played LaCrosse, was a member of the track team and played volleyball. 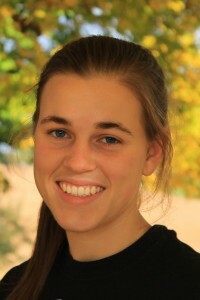 Virginia is also very active in her church and has done outreach and a mission trip to Ecuador. Virginia will be attending the University of Wisconsin River Falls, majoring in Agricultural Engineering, with a minor in Spanish. As a program that has encompassed 2/3 of my life, 4-H has obviously had a huge impact on me. However, it is easy to make an impact on someone. It is difficult to make an impact that will bring out a person’s best self and encourage him or her to thrive in that individual. That is the true power of 4-H that I have experienced first hand. In 4-H, I have had the opportunity to learn and grow in a combination of experiences that celebrate my individuality while teaching me how to communicate with others in many capacities. I did not have to fit into a mold of people who went before me, but I have had many leaders along the way that have been instrumental in forming the best qualities of the young woman I am today. Most importantly, though, has been the family I have found in 4-H. As I move on in my life, I know that I have an unparalleled support system in 4-H that has seen my best successes and has helped me learn from mistakes. I want to extend a special thank you to all of the adult leaders-I neglect names for fear of omitting anyone-who have helped me to discover who I am and to my close friends who encourage me to keep high standards for myself. I cannot thank you nor the 4-H program enough for all I have learned about myself and the world around me! 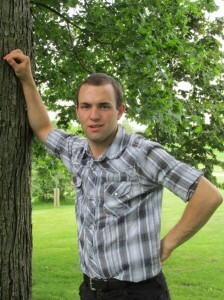 Patrick Curran is a 12 year member of the Lindenwood 4-H Club. Patrick will be attending UW Stout in the fall to study Communications. After his studies he hopes to get a job as a Public Relations Supervisor, Speech Writer, or Super Hero. Patrick has been in many projects during the past 8 years. Archery has been a project that he has excelled in for many years. His other projects have run the gamut in interests such as Birds, Photography, Sport Fishing, Bicycles, Small Engines, Computers, Electricity, Adventures, Self Determined – Snowshoeing, Exploring, Water, and Canoeing. 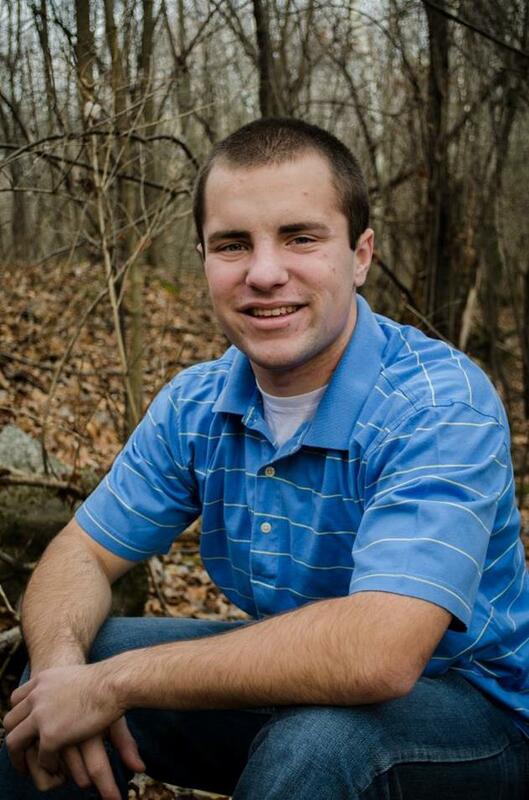 Patrick has served several roles in his club including Recreation Coordinator, Historian/Reporter and Vice President. He has volunteered for many years at the 4-H Haunt where he has helped to construct and dismantle the Haunt, scaring many unsuspecting guests in between. Patrick has attended Space Camp, Advanced Space Camp, Wisconsin Youth Conference, American Spirit, Citizenship Washington Focus, and 4-H Day at the Capitol. Patrick has been an outstanding 4-H Camp counselor for several years and this year served as an Outpost Camp Junior Director. Outside of 4-H Patrick is very involved in a wide variety of activities and interests. Patrick serves as a Cedarburg Auxiliary Police Officer. An honor role student, he played Boys Volleyball and was on the Varsity Track team. Patrick has also played intramural Basketball. Patrick has gone on several mission trip with his church, the Mequon United Methodist, church and taught vacation bible school for the past 6 years. He also volunteers at the Rivoli Theater in Cedarburg. Patrick is a great role model for younger boys both in and out of 4-H. 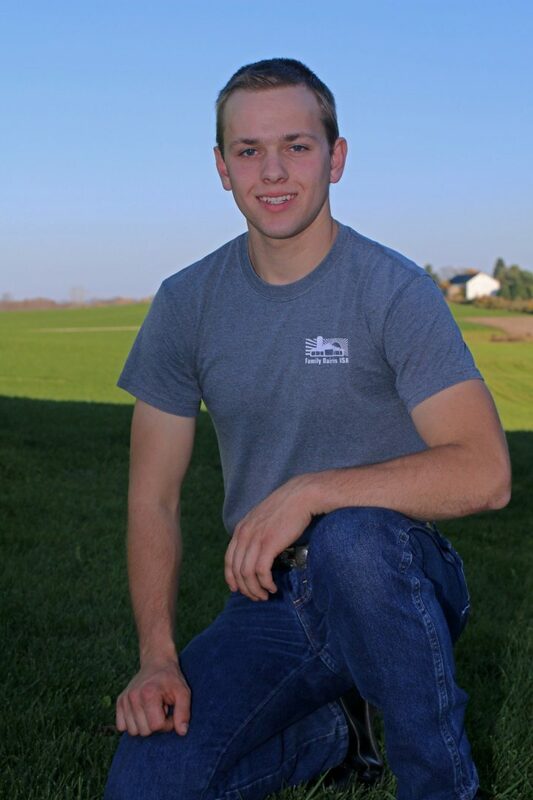 He will continue his 4-H career while he is a freshman in college. We are lucky to have such a great mentor and role model for all of our 4-H’ers. Congratulations to Patrick & his family. 4-H has been such an amazing experience for my family and me to have been involved in all these years. Many of my fondest memories are 4-H related. I am honored to be receiving this Key Award along with these three other amazing people. Thank you to everyone who has helped me along the way, especially Jody Brzezinski, Carol Boehlke, Lynn Neumann and Amy Gierach. I am so thankful for such an amazing group of people to be a part of my life. Thanks to my Mom, Wendy Porterfield, and my little brother, Devin for being so awesome. I do not know what the next adventure has in store for me, but I know that 4-H is a part of me wherever life takes me. Thank you. 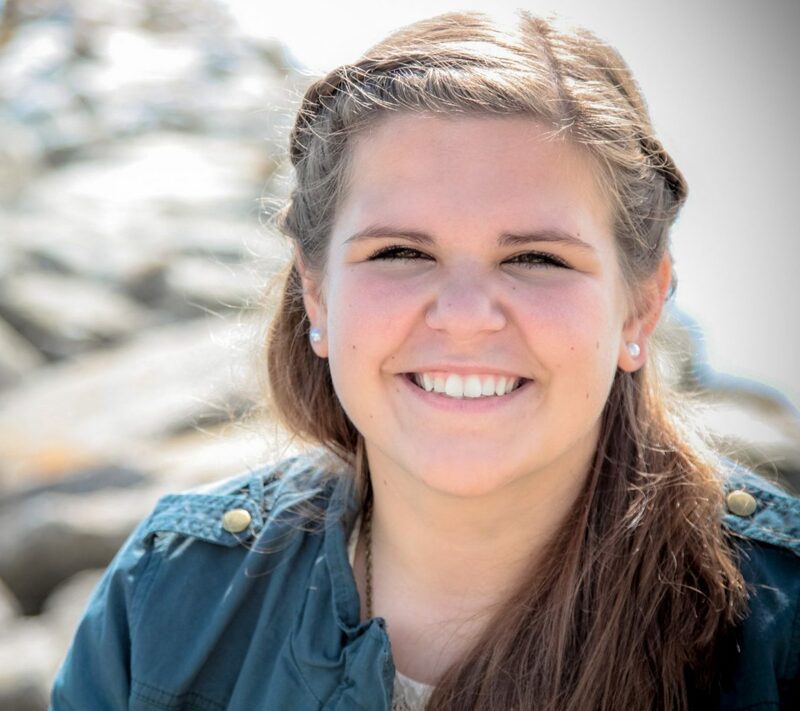 Rachel is a 12 year member of Lindenwood 4-H Club, and is planning to attend Concordia University Wisconsin this fall, working towards a degree in elementary education. She is very active in her club and has served in many roles including, President, Treasurer, Secretary, Pledge Leader, Club booth/banner committee, and has also served on the Fruit Sale Fundraising Committee. 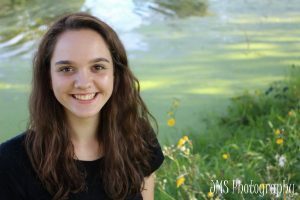 On the county level Rachel served as a Youth Representive to the Ozaukee 4H Leaders Association and is the Sheep Youth Representative to the Livestock Association Board. She was also a delegate for Citizenship Washington Focus, American Spirit, State 4-H Youth Conference and a Space Camp. Rachel also did a great job this year as a Counselor at 4-H Camp. Her skills and talent have also been showcased at the state level in the Clothing Revue and as a Variety Show Performer. She continued to share her talents in Co-Chairing the county wide Communications Festival and worked on the committee to launch the first annual Bunny Breakfast. Rachel was also instrumental in researching 4-H history and was member of the team to write the 4-H Centennial Proclamation, promoting 4-H and presenting it to the Ozaukee County Board. Our 4-H Youth Leaders serve such an important role in 4-H, and Rachel has served that role in a number of projects including clothing, crocheting, foods exploring and cloverbuds. 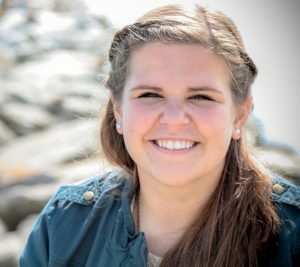 Outside of 4-H, Rachel is very active in her church. She is the accompanist for the male choir, a member of the church bell choir, served on the Altar Guild, taught vacation Bible School and Sunday school and has been a member of the church youth play. In her spare time Rachel also gives piano lessons and works on the family dairy farm. Congratulations to Rachel & her parents. First, I would like to say what an awesome honor the 4-H Key Award is to me. As a 10 year member of the Lindenwood 4-H Club, I have learned numerous life skills and had some amazing experiences. Developing good organization and time management skills are just some of the skills I learned through enrolling in 12 projects. By being active in leadership positions I have gained self-confidence and public speaking skills. The multiple award trips I have applied, interview, and went on have widened my view of the world. These opportunities are incredible and I am honored to have had all of them. I would also like to thank everyone for making my 4-H career possible. Without the dedication from countless adults, 4-H in Ozaukee County would be pointless. These caring leaders have a passion for helping youth succeed in life. I would personally like to thank everyone who has impacted my life. Especially, my past and present general leaders; Bob & Mari Schmidt, Cary Schoessow, Peggy Schoessow, Jody Brzezinski, Carol Boehlke, and my mom have all helped me to succeed ever since I started 4-H as a Cloverbud 13 years ago. They have encouraged and helped me to get deeply involved in 4-H and to try many new things. I would also like to thank the countless leaders and parents who have guided and encouraged me through the years. I certainly can’t name everyone because you all have helped me along at some point. Finally, I would like to thank my family because they have given me support the whole way. I would also like to give a special thanks to my parents, Bob & Amy Gierach, for getting me involved in 4-H as early as I could. They have always encouraged me in anything I tried no matter how difficult or hard it got. As a family we have worked together in 4-H, because that is what it is all about. Families coming together to make the best better in everyone’s life. 4-H has absolutely made the difference in my life and I cannot express enough the joy and honor it is to me to be selected as a 2015 Key Award Recipient. I would like to close with one statement. If you know of anyone who could benefit in 4-H, tell them about it. It may be one of the best chances they ever get! Sarah is a member of the Cloverleaf 4-H Club and plans to attend UW Milwaukee in the fall. Sarah has been very active in 4-H, taking as many as 15 projects a year. Some of the projects Sarah has participated in are, Quilting, Creative Writing, Celebrate Art, Foods and Nutrition, Candy Making, Scrapbooking, Photography, Cake Decorating, Clothing Home Environment, Canoeing, Basketry, Backpacking, Cross Country Skiing, Ceramics, and Knitting. Sarah served as a Youth Leader for Quilting and Candy Making. She has served in served her club in many capacities including Historian, Vice President, and President. Sarah also participated in the Christmas Party Planning Committee, and the Christmas Parade Committee and also has volunteered for Breakfast on the Farm. On the County level, Sarah has volunteered at the Haunt for several years. She was a delegate to Citizenship Washington Focus. She helped raise funds as a Jr. Manager for the Cover Café. She participated in the Miss Ozaukee 4-H contest, the Bowl-a-thon and the Volleyball tournament, the Clothing Revue and the Variety Show. She was also a delegate for American Spirit and Youth Conference. For 3 years in a row, Sarah was also a State Fair Exhibitor. Outside of 4-H Sarah keeps very busy. She is on the high school Forensic Team, was Class Vice President, a Freshman Mentor, a Kohl’s Associate, a Library Book Shelver, participated in the High School Play, severed on Student Council and was a member of the National Honor Society, and last but not least, is a Lifeguard/ Swim Instructor. We were very fortunate this summer to have Sarah serve as a camp counselor and Lifeguard! Congratulations to Sarah & her parents. 4-H has definitely been a major part of my life for the past seven years; I am incredibly thankful that I received the key award as a culmination of my achievements in this amazing program! However, I never would have made it through my 4-H journey without the help of some special individuals. First, I would like to acknowledge my family. My mom and dad have always supported me and given me great advice. I can count on my dad for interesting ideas when it comes to photography just as I count on my mom for tips on what to pack for week-long 4-H experiences. They gave up so much time to drive me around to 4-H activities and become adult project leaders, and I am truly thankful for their support. I am also very thankful for the support of my siblings. I can rely on my sister Anna whenever I need someone to try something new with, which happens very often in 4-H. I can also rely on my brother Joe to wake up and come to my key award ceremony, even when he had no idea he was expected to attend. My entire family has helped me to succeed, and I can’t imagine doing any of this without them. Next, I would like to thank my fabulous general leader of Cloverleaf 4-H club, Dorothy Parchim. Dorothy inspired me to become a leader in my club, and the large amount of effort she puts into insuring that the club runs smoothly helps all the members reach their potential. She is always trying to get everyone involved, and that acceptance is what gave me the confidence to get where I am today. 4-H has improved my confidence, my ability to work with others, and my leadership capabilities. I will use these skills and the many others I have picked up along the way to become a successful adult. Once again, I would like to thank all the adult and youth leaders/volunteers that have helped me to reach the point where I could accept the highest award 4-H has to offer. My only regret is that I did not join 4-H until I was in sixth grade; I wish I could have spent more time as a member in this wonderful program! Mindy is a 10 year member of the Town & Country 4-H Club. In those 10 years she has explored a lot of what 4-H has to offer. Mindy will be attending UW Stout in the fall where she plans to study Graphic Design and Interactive Media with a minor in business. After school she hopes to get a job in advertising or marketing. Mindy started her 4-H career being a cloverbud for 3 years, and of course was excited to graduate into exploring. After that there was no stopping her. The projects that she has chosen to participate in were: Ceramics, Cake Decorating, Foods and Nutrition, Leather Craft, Drawing and Painting, Archery, Shotgun, Music, Creative Writing, Woodworking, Computers and Photography. Mindy also served as a Youth Leader in several of these projects. In her club Mindy served as President, implemented a fairgrounds clean up day in honor of Earth day. Mindy was also a volunteer at Breakfast on the Farm, and led the club in Christmas Caroling at nursing homes/assisted living homes. She was also instrumental in constructing a float and participating in the Grafton Christmas Parade. Mindy has performed in the Variety Show for many years and was a camp counselor for the last two years of 4-H camp. Mindy was also very active in the Haunt and really enjoyed both the planning of the Haunt and scaring the pants off the guests. She was also a delegate for Wisconsin Youth conference, American Spirit, and Citizenship-Washington Focus. Mindy also did a wonderful job representing 4-H as Miss Ozaukee 4-H.
Outside of 4-H Mindy is very busy, she is an Alter server at her church. 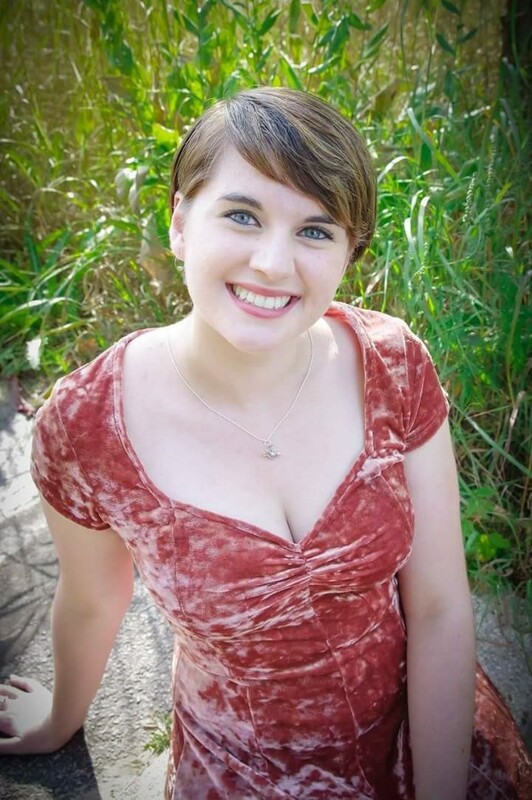 She was a member of the Cedarburg Marching Band, the German Club, and the Chamber Singers. Mindy was also a member the the National Honor Society as well as holding a job at Kelly’s Market in Cedarburg. Congratulations to Mindy & her parents. I am so incredibly blessed to be a part of a wonderful organization where everyone is like a family to me. From when I was a little girl and up until now, I have grown so much in 4-H through camps, trips, projects and experiences. There is no way that I would be the strong, independent, and confident young woman I am today without 4-H. Many thanks to my family, friends, leaders, and role models for showing me how to be successful in what I do and those who have helped me pave a road where I can walk down to my bright future. The Wisconsin 4-H Key Award is the highest honor that can be received in 4-H, and I am so blessed to be a recipient for this award. Heather Hamm is a 10 year member of the Holy Cross 4-H club. She is currently attending the UW Madison’s Farm and Industry Short Course and upon completion plans to return to her family’s farm. Heather has been involved primarily in the Dairy & Sheep projects, while also active in Photography, Scrapbooking, Home Environment, Forestry, Ceramics and Dogs. She has served in the roles of Club President, Vice President, Treasurer, Secretary and Historian. Heather has attended Space Camp, WI 4-H Youth Conference and the American Spirit trip. She has served as an Upham Woods 4-H Camp Counselor. She has represented the Ozaukee County Livestock Association as a sheep youth representative and been a youth leader for the Dairy, sheep and home environment projects. This year Heather was the youth chairperson for the Parade of Champions at the Ozaukee County Fair and plans to continue with this for years to come. Outside of 4-H Heather is very active in her church in many capacities. 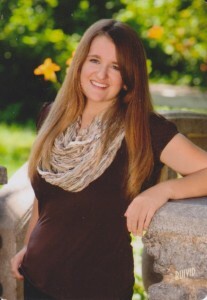 She has participated in the Port Washington High School German Club and Piano Team as well as the Badger Dairy Club. Heather has been a great example to follow and has inspired many younger members. She started in 4-H as a very shy little girl and has turned into a confident young women as a result. I would first like to say what an honor it is to receive the Wisconsin 4-H Key Award. The 4-H Program has had such an impact on my life and has been a very rewarding experience. I have been able to travel to new places and meet new friends from all across the state. Having grown up on a dairy farm I have always been involved in the agriculture projects in 4-H, but I have also enjoyed and explored many other project areas. As a member of the Wisconsin 4-H Press Team for three years, I have made great friends and have had some of the greatest memories that will last me forever. Many people have spoken about how they are sad to see their last year showing 4-H come to an end; as I stood waiting to walk into the ring for the last time I didn’t feel sad but I felt excited that next year at this time I will be coaching and teaching the younger members who would be going in that ring and every moment they spend all summer came to that short time in the ring laying it all on the line. That’s what 4-H is all about working hard and putting your best out there and striving to make it even better the next year. I am excited to become a leader and encourage the younger members to try new things because those were the great experiences I had when I was trying something new. The memories and the friends will last with me forever, the late night barn duties, inside jokes, the press team who filled up more table space with snacks than with computers, the skills I have learned that will help in my everyday life. The best part is that with 4-H we are all family. We may not get along at times but all families fight but we are all still there for each other in the end because 4-H binds us all together into one big family. The Ozaukee County 4-H Foundation and the Ozaukee County 4-H Leaders Association have been a great resource and great leaders without the volunteers who help run them I would never have been able to experience trips like Space Camp and American Spirit as well as the Wisconsin 4-H & Youth Conference with the Press Team. I would have never become the person I am today without my family and 4-H support system, and I hope to give back to this program which means everything to me. Joe is a 10 year member of Cloverleaf 4-H Club. He plans to attend UW Stevens Point in fall and Major in Environmental Education and then plans to work a career with 4-H. Joe has been active in Archery, Scale Models, Foods, Hobbies, RC Cars, Theater Arts, Candy Making, Cake Decorating, Water, Recycling, Back Packing & Hiking and Shooting Sports. He has attended Space Camp, Wi 4-H Conference in Madison and Citizenship-Washington Focus. Joe has served as an Upham Woods Camp Counselor. Joe has served in the roles of club Treasurer and Club President. He has been involved in the State 4-H Arts Camp, State Arts Lab and the State 4-H Drama Company. Outside of 4-H Joe has been very active in his church working with the youth for retreats, vacation bible school and an eucharist minister. He has been a part of LEAD, Forensics and the Environmental Science Club at school. Joe is a very supportive young man who is committed to excellence. “4-H is my life.” That’s the phrase that most often comes out of my mouth when people ask me about myself, and I’m sure I’m not the only one to do this. 4-H has given me so much, from the ability to make friends, to public speaking, to teaching younger members, to an exposure to the arts and the environment that my high school could never duplicate. To me, 4-H creates a kind of positive feedback loop, like the kind you get in science. For example, if you heat ice, it melts. The more ice that gets melted, the hotter the ice gets, and more ice melts. The melting of ice creates a feedback loop that melts even more ice. In 4-H, the more involved you get, the more friends you make and skills you obtain. This then gets you even more involved, which gets you even more friends and skills, and the cycle continues. 4-H allows youth to become a positive force in their communities through community service. 4-H teaches youth to how to become positive leaders, educators, and to follow their dreams, hopes, and aspirations. This organization allows for people of all ages to be involved. It creates a dialogue and understanding between the different generations. 4-H provides friends that will last a lifetime, friends that will always be there to support you no matter what. I personally have friends that are all over the state and country, and we continually keep in contact. 4-H allows youth to explore a wide variety of interests. I myself have taken everything from archery, to backpacking and hiking, to even foods and candy making. All of these things are great, but I think the best thing about 4-H for me personally is that 4-H is an outlet for silliness. Whether it is a silly skit at campfire or I’ve been up way too long at conference working on skits silliness, 4-H is a place where you can be completely silly and completely yourself without being judged for it. I am so honored to be selected for the 4-H key award. I would like to take a moment to thank my general leader, Dorothy Parchim, for helping me get more involved in 4-H when I was just a young 4-H member. Thanks to Dorothy, I got involved in all of the activities that helped me to appreciate 4-H and help me to find my career path as an Environmental Educator. I would like to thank Tim Talen, who drew me into the state art activities. I would like to thank the entire staff at the state level of 4-H, for doing such a wonderful job with all of the state events. I would like to thank each and every 4-Her, whether you are a member or leader, for making our county 4-H so enjoyable. I would also like to thank my family for always being there to support me and encourage me to try new events and projects. As I end, I would just like to leave this final thought. 4-H is what you put into it. The more involved you get, the more fun it will be. Try that state team, trip, activity or project that you are hesitant to do. It may prove life changing and it may open the doors to even more life changing experiences. Connor is a 10 year member of Lindenwood 4-H Club. 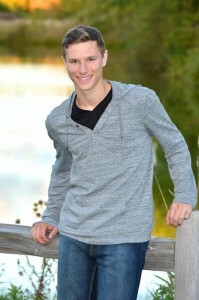 Connor is planning on attending the University of Minnesota in fall and major in . Connor has participated in Space Camp, WI 4-H Conference, American Spirit Trip and Citizen Washington Focus. He reigns as the current 2013-2014 Mr. Ozaukee 4-H. Connor throughout his 4-H career has been involved in Woodworking, Self Determined, RC Cars, Archery, Photography, Electricity, Small Engines, Shot Gun, Theatre Arts and Bicycle Adventures. Connor has served as his club’s President and also Treasurer. He recently returned as an IFYE Exchange member from a trip to Norway. Outside of 4-H Connor has been active Volleyball, Ski Team, Student Council, and Band. He participates in the Park & Recreation Musicals and is active in his church. One of the four H’s in 4-H is heart. I have poured my whole life into my 4-H career and I am so proud of who I’ve become and where I’ve been. From going to 4-H camp to traveling the world, 4-H has given me countless opportunities to express myself and meet new people. One thing I think is really helpful in 4-H is the interview process for the trips and activities. It really gets you ready for the real world and prepares you for questions they may ask in an actual interview. Through the 4-H projects, I have gained a large interest in mechanical engineering. From electricity to woodworking to small engines, it really sparked my interest in this field of work. I’ll be attending the University of Minnesota Twin Cities in the fall to pursue this profound interest. 4-H has taught me so much, and more importantly kept me so young. Being 18, I love interacting with the younger youth at camps, meetings, and even fair. 4-H has been a part of my life for a decade, and I hope for many more. Thanks you to everyone who has helped me get to this point in my 4-H career, you have no idea how much it means to me. Thank you so much. Keith Gierach is a 10 year member of Lindenwood 4-H Club. He is currently attending Concordia University, majoring in business and marketing. Keith has been involved primarily in the Woodworking project as well as Sheep, Beef, Foods, Archery, Shotgun, Self- Determined, Drawing & Painting, Small Engines, Electricity, Ceramics , Trees, Vegetables, Birds & Insects. He has served in both roles as President and Secretary of his club, served as a youth leader in Drawing & Painting and was a Sheep Livestock Association Youth Representative. He reigned as the 2011-2012 Mr Ozaukee 4-H. Keith has participated in the WI 4-H Conference in Madison, the 4-H American Spirit Trip and Citizenship-Washington Focus. Outside of 4-H Keith has been very active in his church by serving as an usher, Vacation Bible School and the male choir. Keith has been a great example to follow and has inspired many younger members to give their all. He has truly come out of his shell and has become a very supportive young man who is committed to excellence. Last year at the 4-H banquet, I remember laughing when I heard that some of my good friends who were receiving the key award had finished up their speeches an hour before the banquet. Well this year I’m laughing at myself. With college, homework and balancing many other things on my plate I finally understand; let’s just say I didn’t get started as early as I as had hoped. To start, I just want to say that I am humbly honored to be receiving the key award. I remember starting 4-H 10 years ago as a clover bud. Wow I’ve come a long way. 4-H has not only been a fun activity for me, it has become a way to live. Through these years, 4-H has helped to shape me into the person that I am today. All the skills I have learned through the years now help me greatly in college and on the farm. There are so many skills that I have learned through the years that I will only list a few. The woodworking project taught me how much I love to build furniture. I have learned how to make my own rock solid Amish style furniture. Through different mechanical projects I have been able to fix and build things on our farm. The Self determined project helped me learn to succeed at whatever I wanted to do. The Livestock project helped me to experiment, and directly experience different methods to raise animals on our farm. It also gave me a chance to work with the financial end of things. 4-H gave me a chance to see many historical sites and landmarks that would not have happened without the financial support of 4-H. I was able to make many new friends and travel across the country with many other 4-Hers and meet people from all across the nation. All the activities I have been involved in have shaped and built my talents. From the variety show to being Mr. Ozaukee I have learned a ton. 4-H has taught me how to achieve and has helped to give me an aggressive work ethic. As many of you know, last year I took over managing an apple orchard. I don’t think this would have been possible without 4-H. I have learned to always keep on going even when the going gets tough. To make the best better has become an important part of my life. As I start to get close to the end of my 4-H career, I realize that this is just the beginning. As I have grown up, 4-H has taught me to be a leader. Right now I am in a transition from becoming a 4-H member to a leader. A 4-H member’s career is never over. It stays with you for the rest of your life, helping you grow or lead whatever you are doing. In my opinion being a leader is much more than just leading; it includes being a good role model for younger members. Finally, I would like to thank all the people who have had an impact on my 4-H career because without them none of this would have happened. First I would like to thank all of the project leaders, great parents, and wonderful 4-H friends that supported me. Next I would like to thank some fantastic leaders. I would like to thank my general leaders, Carol Boehlke, Peggy Schoessow, Cary Schoessow, Jody Brzezinski, Bob and Mary Schmidt and even Mom who have led me at various times. Dorothy Parchim was a great encouragement to help me become Mr. Ozaukee. 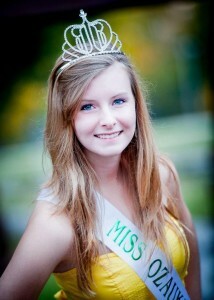 I would also like to thank Emily LaSage for being a great Miss Ozaukee partner. We had a lot of fun together. Thanks to Jody Brzezinski we always had great cars to ride in. I would like to thank my family for all their help and support in my life. I would like to give a special thanks to my parents, Bob and Amy Gierach for getting me involved and being there for me every step of the way. 4-H wouldn’t be the same without family support. In fact, I believe that is what makes 4-H as strong as it is. Lastly, I would like to give all the glory and credit to God for putting all these great people in my life and allowing and helping me to make this big achievement in my life. Andrea is a 9 year member of Cloverleaf 4-H Club. She is currently attending UW Sheboygan majoring in pre-physician’s assistant. Andrea has participated in WI 4-H Conference-Madison , 4-H American Spirit Trip and attended Citizenship-Washington Focus. She has been involved in Home Environment, Photography, Foods & Nutrition, Dog project, Dairy, Sewing, Woodworking, Clothing and Scrapbooking. Andrea has attended camp as a counselor and also was a member of the Wisconsin 4-H Drama Company. Andrea has held the offices of President, Vice President, Secretary and Treasurer for her club. Andrea reigned as the 2012-2013 Miss Ozaukee 4-H. Outside of 4-H, Andrea has been active on the Student Council, Volleyball team, Track team and a school band member. She is a member of the Belgium Fire Department Explorer Program, active in her church choir and has completed one year of firefighter classes at LTC. Andrea exemplifies what 4-H is all about. First of all, I just want to say how much of an honor it is to receive this award. When I found out I was so excited to be selected! In order to help me study for my biology exam I related my 4-H experience to the characteristics of living things. Living things are organized. In 4-H we are taught how to use our time wisely and how to avoid procrastination. Living things adapt to their environment. 4-Her’s learn to be flexible and work with what they are given no matter how much or how little that is. Living things are made up of cells. My biology book described this aspect as meaning that all cells are born with everything they need inside them. All youth are capable of succeeding. 4-H can help youth figure out their talents and discover what interests them. Living things grow and develop. 4-H enables kids to join at a very young age. This organization can be a part of a person’s life while they are developing in to young adults. I have definitely grew in to the person I want to be thanks to 4-H. This experience wouldn’t have been possible without the help of hundreds of leaders across Wisconsin. Many of whom have given up countless hours of their time. Without them 4-H wouldn’t have been as great of an experience as it was. I especially thank Dorothy Parchim for welcoming me in to Cloverleaf 4-H club just about ten years ago. Without Dorothy’s motivation, I’m not sure I would have been inspired to take advantage of all of the opportunities offered. Thank you to all of the leaders in the state of Wisconsin who inspire youth like myself to make 4-H such an important part of our lives. Rob is an 11 year member of Knellsville 4-H Club. 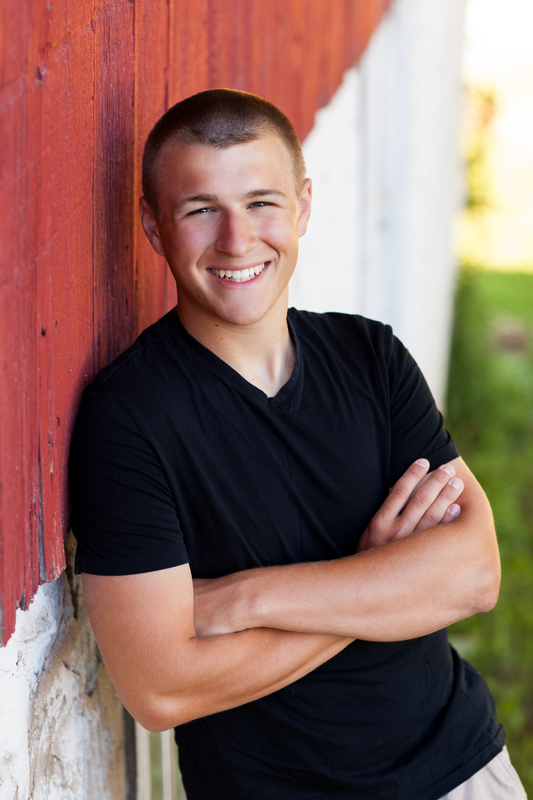 He is currently attending UW Madison pursuing a double major in Dairy Science and Genetics. Rob has actively been involved in the RC Cars, Photography, Dairy, Legos, Arts & Crafts, Self-Determined, Swine and Home Environment. 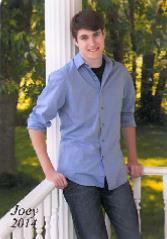 He has attended WI 4-H Conference Madison, 4-H American Spirit and Citizenship Washington Focus. Rob reigned as the 2010-2011 Mr Ozaukee. He has served in the roles of President, Vice President, Secretary, Treasurer and Reporter for his club. Rob was a youth leader in his clubs Photography project. Outside of 4-H, Rob has participated in Destination Imagination, Football, operated the Musical Sound Board and Champions of Ozaukee Mentorship. He has been a very active member of his church by tutoring, helping with food drives and community service. Rob is a very supportive young man who is committed to excellence. “Everything I learned in life, I learned in 4-H,” was the phrase I built my Mr. Ozaukee speech around in 2011. Looking back on all the years and moments I’ve had in 4-H, it’s truly hard to figure out what I didn’t learn during my time in 4-H. Public speaking, interviewing skills, photography, handling livestock, balancing a checkbook and budget, leading a meeting, coordinating committees and projects, how to produce success during crunch time (the week before fair when only half the projects are done), how to be a role model and leader to others; 4-H was the basis for me learning all these skills and more. Every moment in 4-H was a moment to learn, a moment to laugh, a moment to share with some of the best friends and mentors I’ve ever met. I gained so much in my time with the program; it’s hard to imagine my time as a 4-H member has already come to a close. Despite this, the memories I have made through my time in 4-H will last me forever. It was through my time in 4-H that I had the opportunity to discover a talent for photography; something I would have not pursued otherwise. 4-H exposed me to cows and dairy on a different level; something that is now steadily evolving into a likely career path. Trips such as Citizen Washington Focus and the American Spirit Trip allowed me to gain insight into how other individuals in different parts of the state and country feel on different issues, and really helped broaden my horizons. It was through 4-H that I realized I will never again take bacon or milk for granted after doing livestock and dairy projects. I made some terrific friends through 4-H; friends who I shared many laughs with, friends who I shared much joy with, friends who I hope to always remember and cherish. 4-H gave me so much, but without many individuals, it wouldn’t have been the experience it was. Firstly, I would like to thank any individual who was a part of River Fall’s 4-H before it disbanded. You all brought me into the 4-H experience and gave me the drive to stick with it. Although I haven’t seen many of the members for years now, the time I shared with that club is what really made me want to remain in 4-H during my early years. I would also like to thank the entirety of the Knellsville 4-H club. After becoming my second 4-H home, you made everything I loved about 4-H leagues better and were a club I was proud to be a part of. I would like to extend an extra thank you to the Knellsville leaders. As well, I would like to offer a special thank you to Jan Dommer; you encouraged me to give my all in 4-H, whether in being a leader, or taking up dairy. If if wasn’t for you, 4-H wouldn’t have been half as fun, and I’d probably be undecided for a major in college. Knellsville is lucky to have you as a leader, and I consider myself lucky to have had you as a leader. Another thank you goes out to all the project leaders and members in the projects I was a part of. There are so many of you to thank, but please know I greatly appreciated your assistance and the enjoyment you brought to each project or activity you helped with. My final thanks, however, goes to my parents and brother. To my parents; neither one of you was a 4-Her or knew what was involved when you signed me up. I don’t think you considered washing cows or buying pigs when you signed me up, but you sure encouraged me to pursue it. You always helped me strive for my best and helped push me out of my comfort zone. You helped give me one of the best experiences of my life, and without your support, it wouldn’t have been possible. To my brother; thanks for being my best friend in 4-H at all times. There were so many moments only we will remember from our time in 4-H, but those moments only added to the great time I had in 4-H. Thanks for being there for me, and thanks for taking risks with me in 4-H too. It’s been a pleasure to be a 4-Her. Ozaukee County 4-H will always be of special importance to me, and I would like to once again thank the county as a whole for their support, their friendship, and their desire to help youth succeed. I have appreciated it, as have countless others, and for that thank you. I have greatly enjoyed my time in the 4-H experience, and will remember it fondly for the rest of my life.